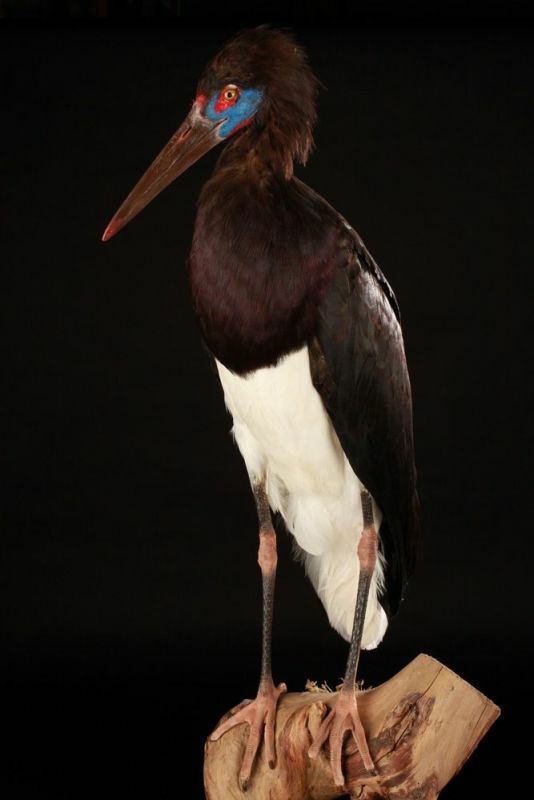 The Abdim’s stork is also known as white-bellied stork. This species is a black stork with grey legs, red knees and feet, grey beak and white underparts. It has red facial skin in front of eye and blue skin near the beak in breeding season. Among the smallest of the storks, these birds still stand nearly 3 feet tall. Females are slightly smaller than males. The abdim’s stork is distributed throughout eastern and southern Africa. Its diet consists mainly of locusts, caterpillars and other large insects, although the birds will also eat small reptiles, amphibians, mice, crabs and eggs. This species of stork is welcomed and protected by local African belief as a harbinger of rain and good luck. 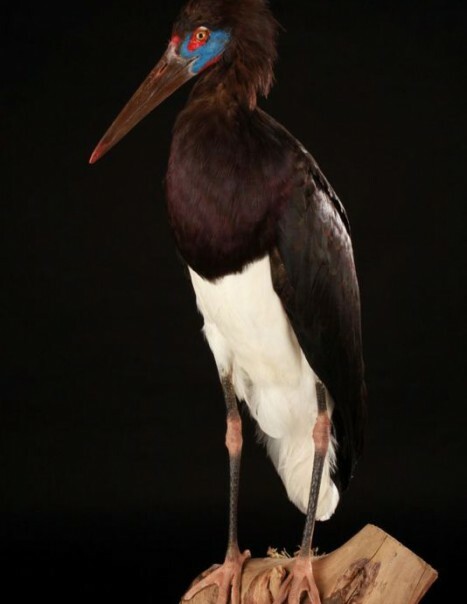 Widespread and common throughout its large range, the Abdim’s stork is evaluated as Least Concern on the IUCN Red List Of Threatened Species.